Agree2Disagree: Does Franklin Get a Pass for the First Two Seasons? 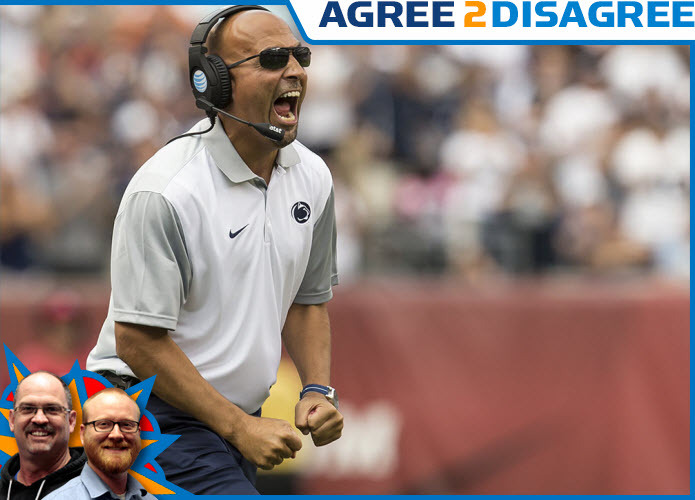 Agree2Disagree: James Franklin has called the 2016 PSU season “Year One.” Does Franklin deserve a pass for the past two years? Andy and Dustin debate. 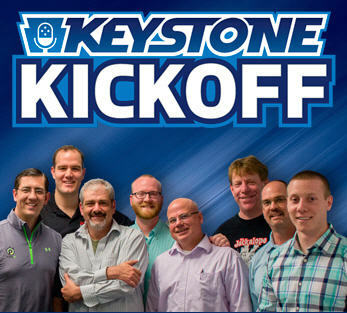 Download KSN Podcast: Year One? 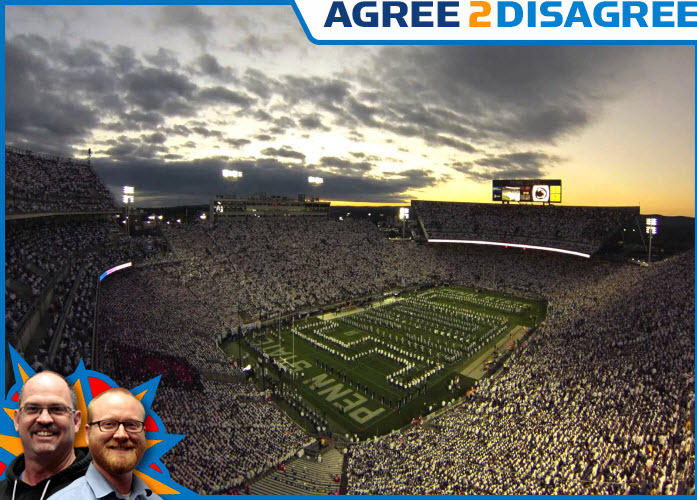 Agree2Disagree: PSU a 9 Point Underdog to Pitt? 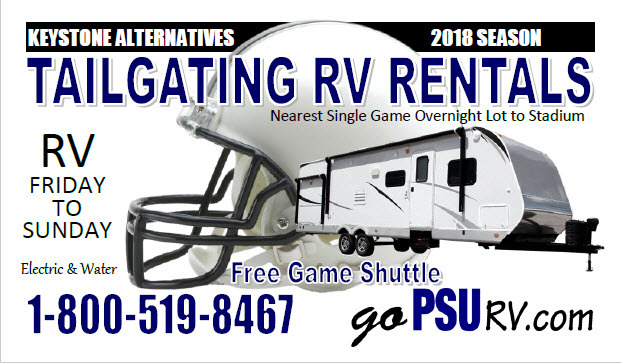 Pitt is an early 9 point favorite over PSU. Is that a fair spread? Andy and Dustin debate in this edition of Agree2Disagree! Download KSN Podcast: Pitt favored by 9? Agree2Disagree: How Much Stock in Blue White Results? How much stock can you put into the Blue White game results? Andy and Dustin debate in this edition of Agree2Disagree! 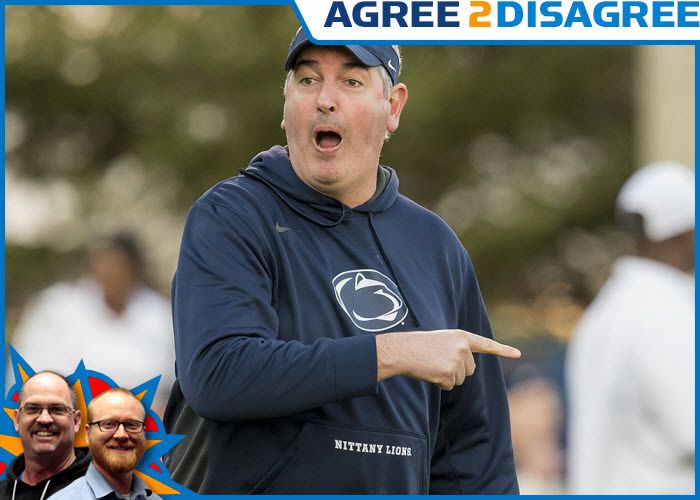 Agree2Disagree: Should the Lions Redshirt Menet? Should the Nittany Lions redshirt highly regarded freshman Michal Menet for the 2016 season? 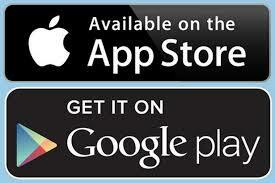 Agree2Disagree: Responsibility for Hack Underperforming? Agree2Disagree: How Many Freshmen Will Play? Andy and Dustin argue over how many true freshmen will see the field in the fall! Agree2Disagree: Biggest Concern on Defense? Andy and Dustin debate the biggest concern on the defense! Agree2Disagree: Who is PSU’s best NFL prospect?